Vietnamese food has long been celebrated in the culinary scene for its colorful use of and twists on some of the world's freshest ingredients. With its blend of simple French flair and eclectic Asian ingredients, it's no surprise that Vietnamese cuisine is emerging favorite on the global food trend. Featuring fresh bread baked daily, seasonal vegetables, and house-made ingredients, Ginger Deli in downtown Ann Arbor, MI strives to capture the authentic, vivid flavors of traditional Vietnamese fare with its own splash of style and innovation. Our goal is to make accessible to as many people as possible nourishing, fresh food that is both inspired and inspiring. Ginger Deli opened in the summer of 2014 when Te Phan, a former automotive designer and classical pianist, decided to return to his passion for food. With his eye for detail and taste for quality, Phan envisions Ginger Deli as both a hub for delicious ethnic cuisine and as a creative endeavor and artistic expression in and of itself. 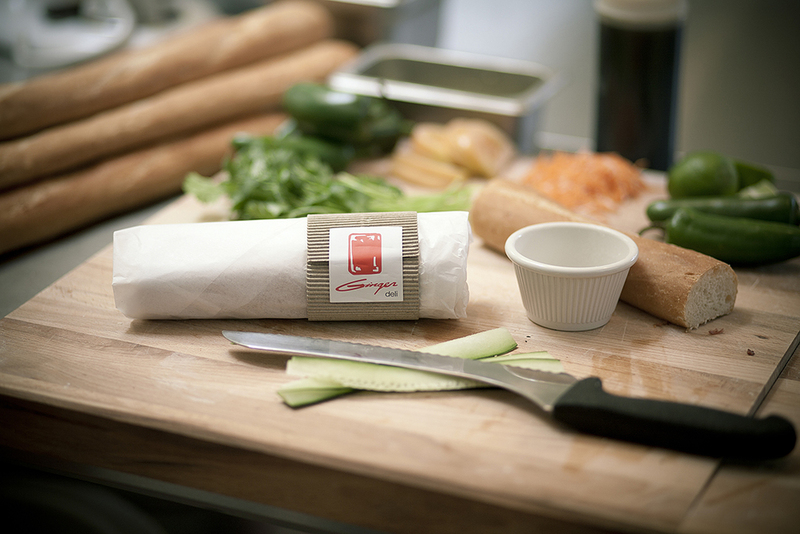 Each Ginger Deli dish presents a harmonious composition of fresh herbs, spices and protein. This medley not only creates a very balanced and memorable flavor, but also offers a lighter and healthier alternative to the typical western fare. We cater events. Please call us (734) 786-1331 or email gingerdelia2@gmail.com for inquiry.